After 957 days, Te’a Cooper is back. What’s changed for the star Gamecock transfer? SECTIONS Search E-edition Customer Service Customer Service About Us Contact Us Archive Search Mobile & Apps Newsletters Photo Posters Sponsorships Obituaries News All News Local News Crime & Courts Business Politics Education Military State Nation/World Civil Rights Charleston Shootings Data, Weather and Traffic Databases Weather Traffic Politics All Politics The Buzz SC Salary Database GoGamecocks All GoGamecocks Football Recruiting Phil Kornblut Baseball Men's Basketball Women's Basketball Other Sports Columnists Josh Kendall Sports Sports GoGamecocks.com Clemson Tigers High School Sports College NFL NBA NASCAR MLB Golf Columnists GoColumbia All GoColumbia Entertainment Celebrities Contests Events & Movies Living All Living Food … [Read more...] about After 957 days, Te’a Cooper is back. What’s changed for the star Gamecock transfer? Can the Vols add their second SEC road win this month? KNOXVILLE — The news that Trey Smith will once again be sidelined after doctors discovered blood clots in his lungs is devastating for the Tennessee sophomore offensive lineman and clearly a blow to the team's overall talent. 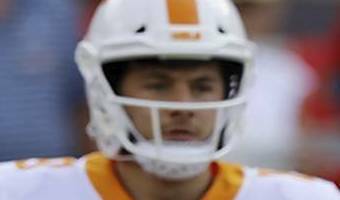 But as the Volunteers (3-4, 1-3 Southeastern Conference) prepare to play at South Carolina (3-3, 2-3), the loss of their starting left tackle could be an emotional rallying point. Tennessee coach Jeremy Pruitt and his players have not spoken with media since the program announced Thursday that Smith will be out "indefinitely," with Pruitt's comments on the matter that day coming via a released statement. 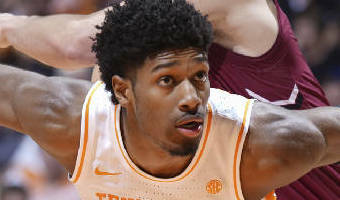 It's fair to assume, however, the Vols will play with Smith on their minds as they try to win their second conference road game of the month when they take on the Gamecocks at Williams-Brice Stadium at 7:30 Saturday night. "I think it's a great opportunity for us," Pruitt said earlier this week. "It's a hard place to win, in Columbia, especially at night. 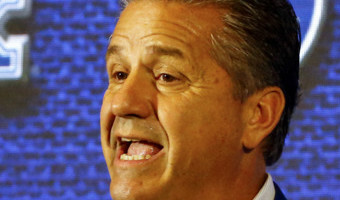 … [Read more...] about Can the Vols add their second SEC road win this month?